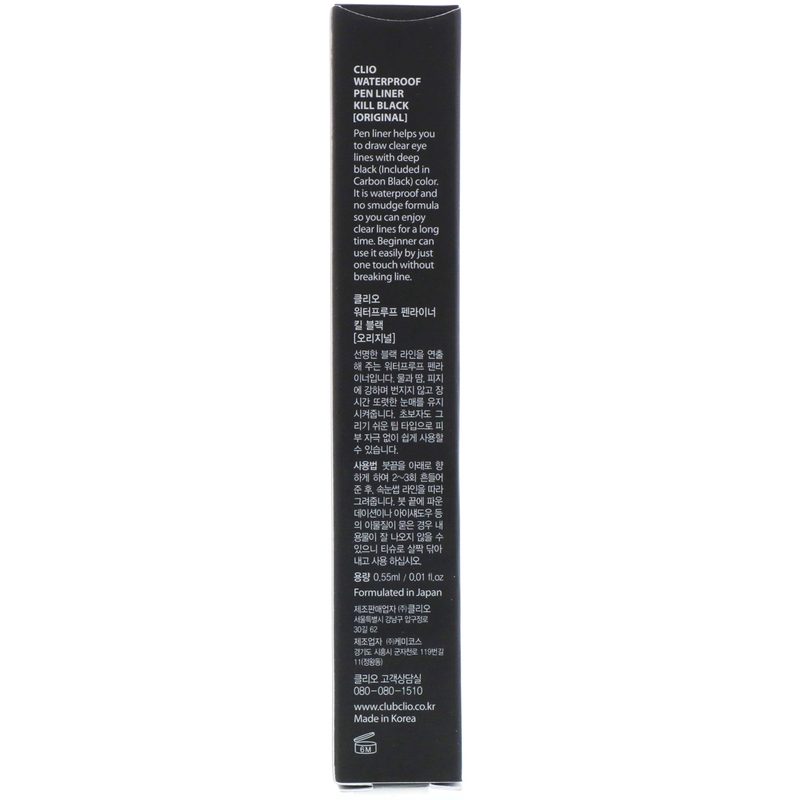 Pen liner helps you to draw clear eye lines with deep black (included in Carbon Black) color. It is waterproof and no smudge formula so you can enjoy clear lines for a long time. Beginner can use it easily by just one touch without breaking line. Shake before use. Apply from the inner corner to the outer corner of the eye along the lash lines. Water, ammonium styrene/acrylates copolymer, butylene glycol, carbon black (ci 77266), alcohol, beheneth-30, phenoxyethanol, acrylates/octylacrylamide copolymer, methylparaben, polyglyceryl-3 disiloxane dimethicone, propylparaben, sodium hydroxide, disodium edta. For external use only. Do not use on damaged or broken skin. Stop use and ask a doctor if rash or irritation occurs. Keep out of reach of children.